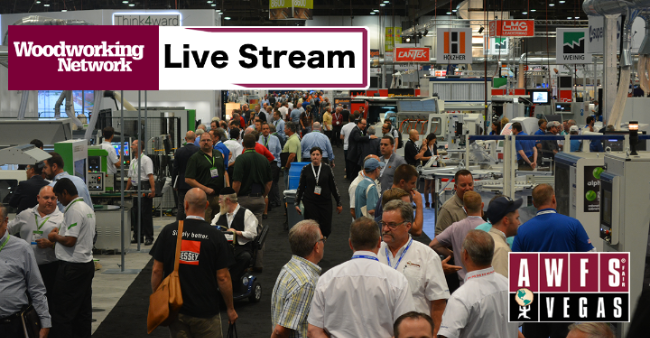 LAS VEGAS - Woodworking Network is set to live stream the winners of the Veneer Tech Craftsman’s Challenge as they are announced on July 20 at 4 p.m. during the AWFS Fair in Las Vegas. The award ceremony for the 13th annual competition will take place at Booth 4970. The grand prize winner will receive a cash prize award of $3,000. Checks of $1,000 will also be given to winners in the following categories: Architectural Woodworking, Cabinetry, Furniture, Marquetry, Specialty Products and Student Design. Recognition will also be given to those earning honorable mentions. Live streaming of the event can be found at https://livestream.com/woodworkingnetwork/veneer-tech-awards. Following the event, a slideshow of the award-winning entries also will be available for viewing at the Veneer Tech Booth 4125. The competition is sponsored by Veneer Technologies, which is located in Newport, North Carolina, and specializes in natural face veneer, sheet veneer and edgebanding. The judges for the 2017 event were: Karen Koenig, editor of Woodworking Network’s special publications and projects; Stephen Latta, professor in the Cabinetmaking and Wood Technology program, Thaddeus Stevens College of Technology, Lancaster, PA, and contributing editor for Fine Woodworking magazine; and Mike Taylor, president and CEO of States Industries, Eugene, OR, a manufacturer of ApplePly and other hardwood plywood veneer panels. 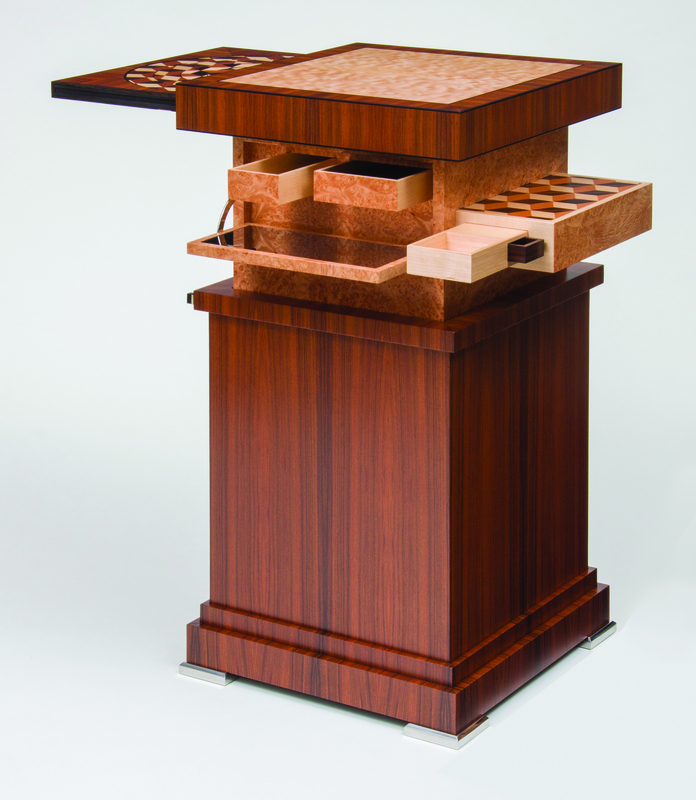 FDMC, a Woodworking Network publication, co-sponsored the Veneer Tech Craftsman’s Challenge. 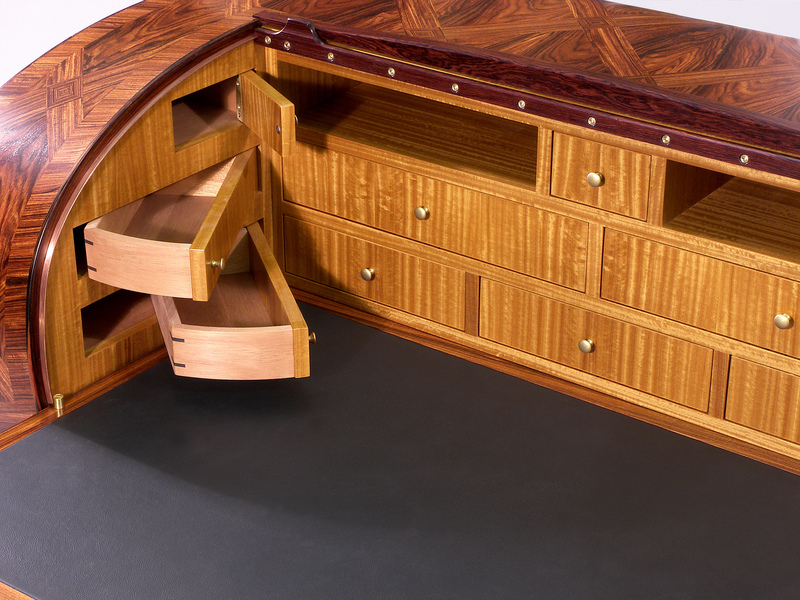 Since its start in 2005, the competition has been rewarding designers, craftspeople, students, distributors and sales representatives for excellence in woodworking that features natural veneer and wood applications.